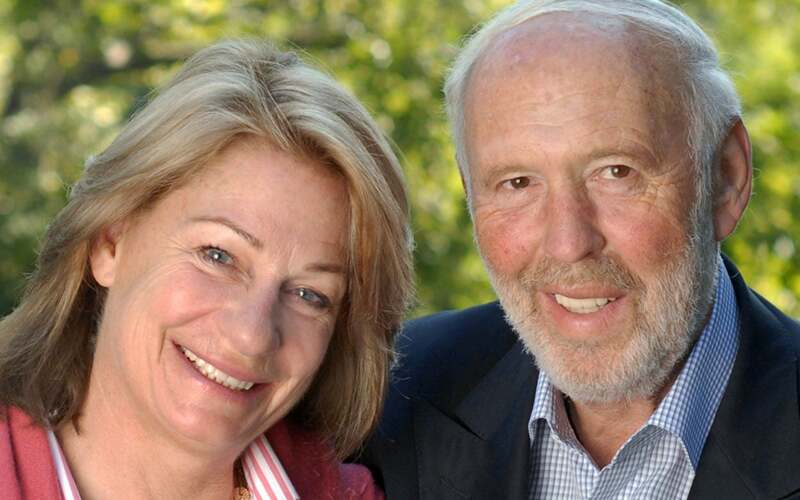 Dr. Marilyn Hawrys Simons and her husband, Dr. James Harris Simons, are the co-founders of the Simons Foundation, a charitable organization that was founded in 1994 to fund basic research and educational programs in mathematics, physical and life sciences. The Foundation’s vision and generosity in also underwriting symposia, visiting lectureships and initiating programs at underserved institutions in the United States and abroad has helped to advance knowledge in a diverse spectrum of fields. The Foundation recently undertook a major initiative to fund research aimed at finding the causes of autism, and identifying the genetic, biochemical and neurological pathways that contribute to autistic behavior. With $38 million committed so far, the Foundation expects to provide $100 million in grants in 2009 to autism researchers at more than 30 institutions, including Cold Spring Harbor Laboratory (CSHL). Dr. James Simons serves as Secretary and Treasurer of the Foundation, and Dr. Marilyn Simons serves as its President. Dr. James Simons holds a B.A and a Ph.D. in mathematics from the Massachusetts Institute of Technology (MIT) and the University of California at Berkeley, respectively, and has had a distinguished career in mathematics research. His work in geometry and topology received the American Mathematical Society Veblen Prize in Geometry in 1975. He taught at MIT and Harvard University, and served as the chairman of the Mathematics Department at the State University of New York (SUNY) at Stony Brook. Since 1982, he has been the President of Renaissance Technologies LLC, a private investment firm dedicated to using mathematical methods to manage assets of more than $30 billion. Dr. Simons is also the founder and Chairman of Math for America, a nonprofit organization that aims to improve math education in our nation’s public schools. He serves as Trustee of Brookhaven National Laboratory, The Institute for Advanced Study, The Rockefeller University, and the Mathematical Sciences Research Institute in Berkeley. He is also a member of the Board of the MIT Corporation and Chair Emeritus of the Stony Brook Foundation. Dr. Marilyn Simons, who received a B.A and Ph.D. in Economics from SUNY, Stony Brook, has volunteered in the non-profit sector for the last twenty years. Her primary focus being education, she has served for the past eight years as the President of the Board of Learning Spring Elementary School, a school for children with autistic spectrum disorders. She also sits on the board of the East Harlem Tutorial Program, an after-school teaching program in East Harlem. In 2008, Dr. Simons joined the CSHL Board of Trustees.